Heidi Zito creates vivid, impassioned depictions of fragmented subjects, rendered with layers of deep color and expressive gesture. Her works combine abstraction and figuration in multilayered scenes that explore the conflict and incongruence between mind and body. Her current series, Sequence of Patience, reflects on the contemporary society and events. The work explores the predicaments caused by the modern capitalist world and the pursuit of success. Her work was featured in the Guggenheim Museum’s video art archive, Stillspotting NYC, and has exhibited in New York and Europe. Zito draws inspiration from a wide-range of artists including Francis Bacon, Peter Doig and Adrian Ghenie. 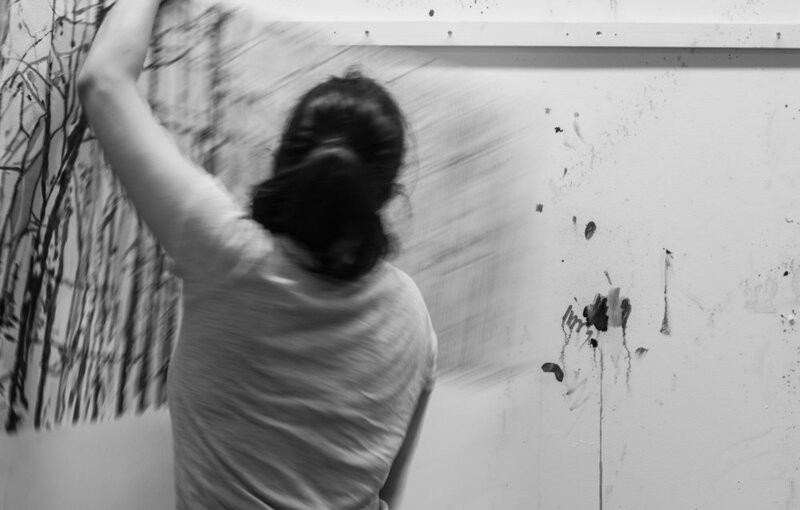 Heidi Zito in her studio in Brooklyn, NY.